The same year Apple launched its iTunes Music Store, and the website ArtistShare gave artists an alternative to traditional funding and distribution channels. Since that time in 2003, digital music sales have surged and crowdfunding sites have emerged that continue to change the music industry. According to a recent study by The Crowdfunding Centre, during March 2014, global fundraising initiatives raised $60,000 per hour, and more than 400 campaigns were launched on a daily basis. For musicians, crowdfunding can mean another revenue stream to produce albums and singles, purchase equipment and fund tours. How does it work? Typically, musicians develop an online campaign, and fans contribute dollars to the band in exchange for rewards including merchandize, autographed items such as drumsticks and set lists, tickets to private events and other incentives such as online access to limited-edition videos. Use a music-focused site. PledgeMusic assigns you a project manager who helps you set an achievable goal and walks you through the process of setting up and managing your campaign. In exchange for this extra attention, PledgeMusic charges 15 percent of your fundraising efforts. 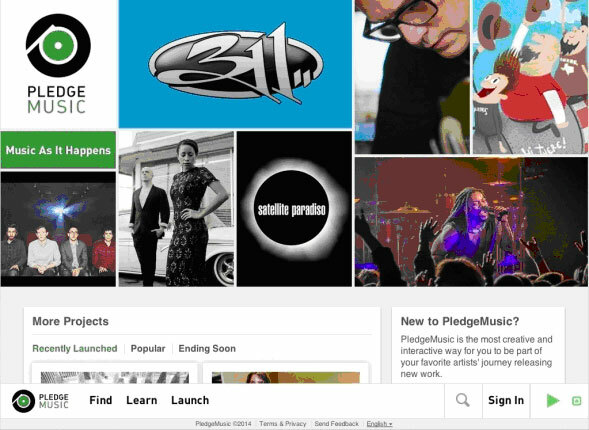 Be advised that “PledgeMusic Redesign De-Emphasizes Crowdfunding” by Alex Pham says the site now focuses on direct-to-fan options in addition to crowdfunding. See Salvador Briggman’s “6 Top Crowdfunding Sites” and “Which crowdfunding sites are best” for additional info. Do it yourself. If you have a savvy team that can develop, design and manage your campaign, create/update your website and handle all product distribution, this model is for you. Plus, you retain all earnings. Dave Cool gives the pros and cons of “Kickstarter vs. PledgeMusic vs. DIY” in his recent article. 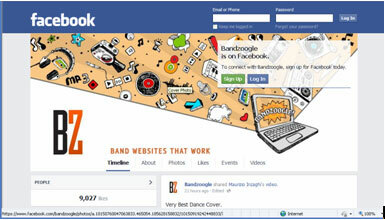 Bandzoogle is touted as one of the best platforms musicians can use to build a website and online store. Is crowdfunding a viable alternative for your band? The best way to find out is to learn from successful campaigns. Go to crowdfunding sites and scour them for bands at a similar stage in their career as yours. See what types of projects they aim to fund (album, world tour?) and the goal they set. Also, for artists who greatly exceed their goal, hone in on the type of rewards they offer to fans. Do they have a complex offering of 30 items? Or do they keep it simple with a few things at different price points? Most crowdfunding sites, for example, Indiegogo, say it’s easy to start your campaign. But before you begin one, take into account “How Much Does Crowd Funding Cost Musicians” by Frannie Kelley. Also, consider the breadth and support of your fanbase. Do you have enough fans and the ability to gain new fans who will pitch in and help you record your next album (or whatever your goal is)? As you choose the best platform for your project, find out your responsibility in product distribution. Then be especially clear who is on your campaign team and what role each of you will play. 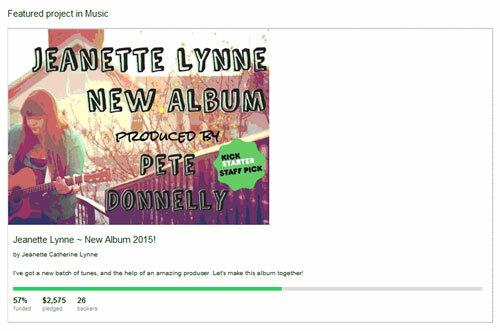 If you greenlight a crowdfunding campaign, there’s never been a better time for musicians to be a part of the crowd. Tamara Halbritter is a San Francisco Bay Area freelance writer and editor who develops content for music, transportation and green industries.